Teeth whitening treatments can be an inexpensive way of getting a brighter smile, but are they safe? With the rising popularity of cosmetic dentistry whitening kits and procedures have become commonplace. We thought it would be a good idea to go over the details of teeth whitening and discuss any safety concerns that are associated with having them. Yellow and discoloured teeth often occur when the outer layer of the tooth is stained through consumption of food and drinks such as coffee, wine, soda, as well as smoking. Along with poor mouth hygiene from lack of regular brushing and flossing, the bacteria which grows on your teeth are able to thrive which causes plaque and ultimately yellow staining. Teeth whiteners work by applying a bleaching agent, commonly carbamide peroxide or hydrogen peroxide, to the teeth that help break down the stains that have formed on the enamel layer of your teeth. Many products also include a high-intensity UV light that can help speed up the bleaching process. Using a combination of teeth whitening strips and gels as well as regular brushing users have found they can achieve up to 12 to 15 shades of whitening in a matter of months. What are the safety concerns with teeth whitening? Many that decide to get their teeth whitened don’t research whether they are a good candidate for it, or how strong of a whitening kit they should use. Using too concentrated of a product could damage your enamel which can lead to increased sensitivity in your teeth, even worse permanent discolouration, severe pain, and visible cracks and chips. Having already damaged teeth can lead to the bleach reaching the bone at the root of the tooth which can cause a bad toothache or enter the bloodstream which can lead to an infection. A dentist can help determine if teeth whitening should be performed. Candidates with decayed teeth, infected gums, white spots and multiple fillings or caps would not be considered good candidates for whitening. Over the counter kits also do not come with custom fitted plates or strips which will cause uneven bleaching across teeth as well as the potential for the bleach burning or scarring your gums. This, although not usually dangerous, can lead to gum discolouration and discomfort. Although over the counter home dental teeth whitening treatments are rarely dangerous, you will find you will have better results if you consult your dentist first. They can help you determine how strong of a gel you should use, in order to not damage the enamel, as well as help, fit you with an appropriately sized mouth guard so that you can carry out the process safely. 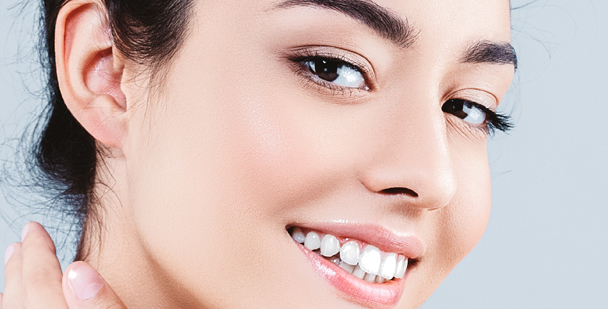 Professionally done teeth whitening treatment will usually begin with a gentle tooth clean and make sure there are no cavities in your teeth where the bleach could leak into. Many dentists also provide a comprehensive range of their own teeth whitening products which are stronger and will whiten your teeth faster than over the counter products. A combination of both in-home and professionally done treatments will have a much faster and more noticeable result. Teeth whitening with Honeysuckle Dental. At Honeysuckle Dental, we provide a comprehensive range of teeth whitening treatments aimed at improving the appearance of your smile by removing deep stains on your teeth while protecting your enamel.